For The Outlaws, it was always about the music. For 40 years, the Southern Rock legends remain one of the most influential and best-loved bands of the genre. Now The Outlaws return with new music, new focus and an uncompromising new mission: It’s about a band of brothers bound together by history, harmony and the road. It’s about a group that respects its own legacy while refusing to be defined by its past. But most of all, it’s about pride. History lesson: Formed in Tampa in 1972, The Outlaws – known for their triple-guitar rock attack and three-part country harmonies – became one of the first acts signed by Clive Davis to his then-fledgling Arista Records. The band’s first three albums The Outlaws, Lady In Waiting and Hurry Sundown – featuring such rock radio favorites as “There Goes Another Love Song”, “Green Grass & High Tides”, “Knoxville Girl” and “Freeborn Man” – would become worldwide gold and platinum landmarks of the Southern Rock era. Henry Paul left after the group’s third album to form The Henry Paul Band for Atlantic Records, and later the multi-Platinum country trio Blackhawk. With the tragic deaths of co-founding members Frank O’Keefe and Billy Jones in 1995, and especially vocalist/lead guitarist Hughie Thomasson in 2007, it was feared that The Outlaws’ trail had come to an end. 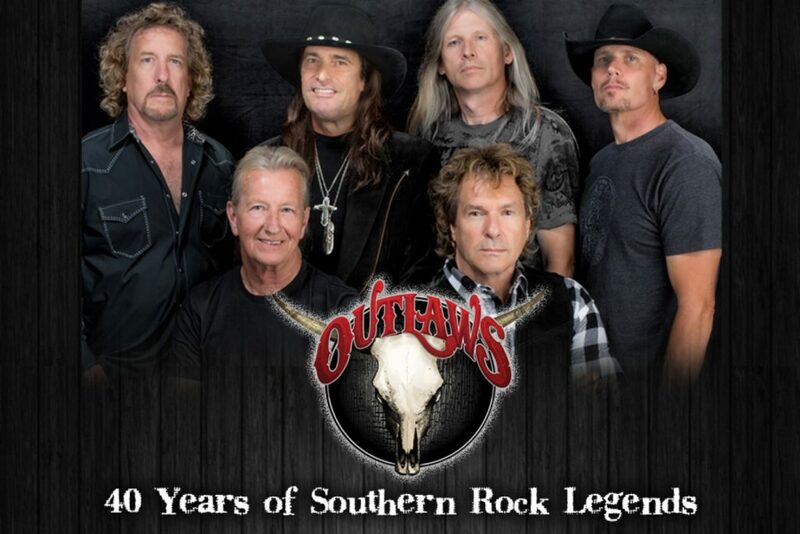 Along with founding members Paul and Yoho, the band features several of Southern Rock’s most respected veterans: Lead guitarist and longtime Outlaw Chris Anderson, co-lead guitarist Steve Grisham – who joined the band in mid-2013, keyboardist/vocalist Dave Robbins is a co-founding member of Blackhawk. “From the very beginning, our band had a heart,” Monte Yoho says. “And a lot of people who come out and see this incarnation of the band respond to the exact same things we used to put on that stage in the ‘70s and ‘80s.” The Outlaws’ live shows are tributes to the band’s rich history and fiery rebirth. Classic tracks and fan favorites from the first three albums – as well as The Henry Paul Band’s definitive Grey Ghost – share the spotlight with songs from the new disc that are already being embraced by audiences. “I want people to hear this album and see our show and realize that The Outlaws are back,” says Henry Paul. For Henry, Monte, Chris, Steve, Dave and Randy, it’s about a band of brothers who love playing their own style of rock, and who 40 years ago first got the chance to take it from Florida to the world.